Soda Al Desko Reusable Work Cutlery Set - No More Plastic Knives or Forks! Our summary: Sturdy yet compact, this is a must have item for your bag - so handy when you are out-and-about, you can say no to single use plastic utensils anywhere anytime. 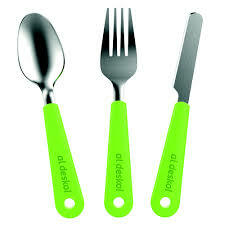 Al desko is a stainless steel cutlery set with its own compact carry case designed for eating ‘al desko’. Just the right size for daily use – it’s a little bigger than your average plastic picnic set – but still very portable. For dining ‘al desko‘ or al fresco! New Soda wanted to make something lightweight and easy to carry around but still substantial and using proper stainless steel so that you would want to use it every day. Your very own fine dining cutlery set - comes with knife, fork and spoon. 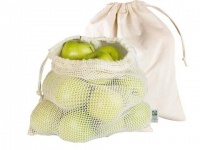 Designed for work but great for school lunches, picnics, SUVs, the park, the beach and camping too. I have been searching for a set like this for a while. I drive a lot with work so it's great to be able to bring my own cutlery for lunch on the go and then pop them back into the ready made container to wash that evening.